The concept of these drawings is to highlight the roof structure. The roof framing is colored and shaded emphasizing viewing priority. The less important part of the drawing is a light black and white line drawing providing context to the main subject. 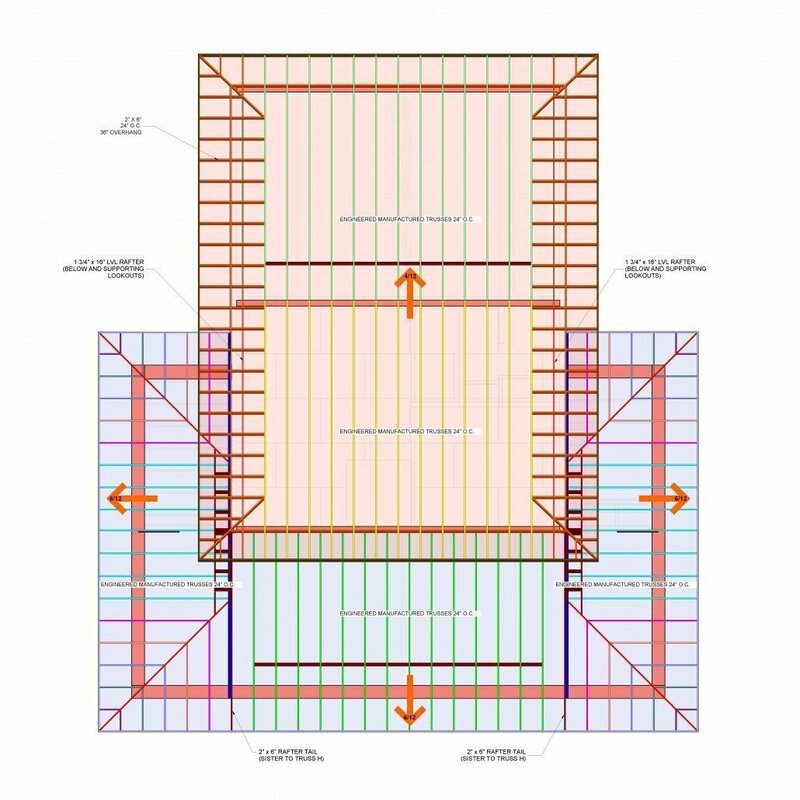 These illustrations from the High Mountain project helps explain how the roof assemble goes together and should be built. 3D drawings can be a very useful tool alongside typical 2D imagery. Together they help create a construction document set that allows the viewer to quickly understand what is to be built, as well as, provide more technical details to follow during the building process. 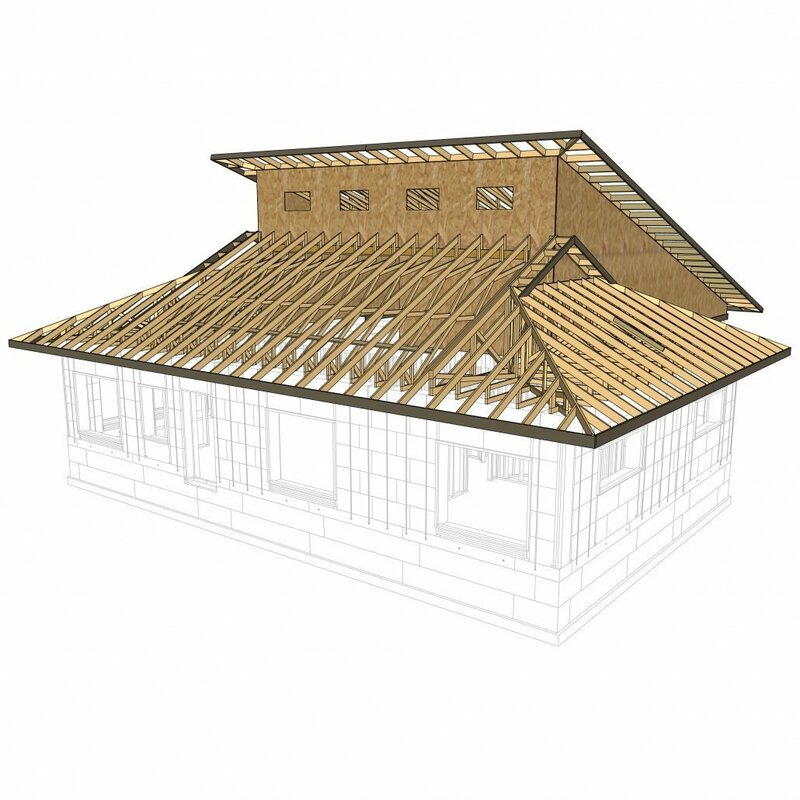 We model all our projects in 3D to help design how the building components go together. It helps us provide better presentation and technical drawings for those who will be building the project.